“Nothing will do instead of what we now have and what we are in danger of losing” – Mary Warnock on ownership, responsibility and a planet in peril. 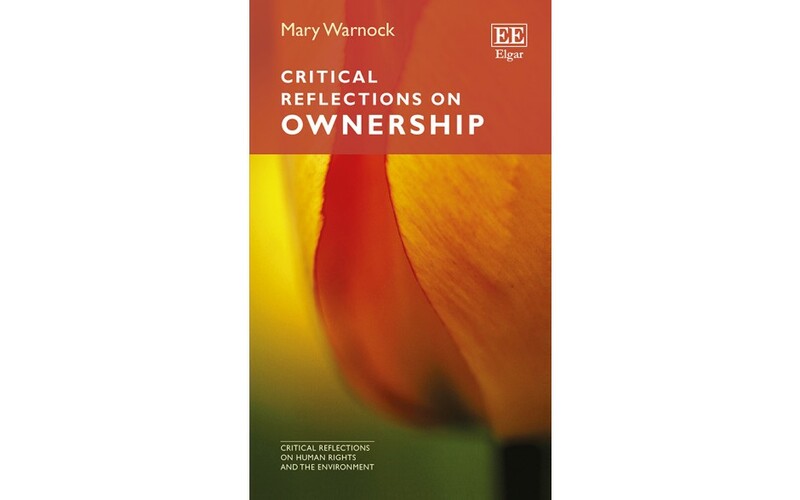 In this thought-provoking and impassioned piece Baroness Mary Warnock considers the relationship between ownership and responsibility and asks how, given the many threats facing the environment, we can be led to take the responsibility that belongs with ownership for that which we do not, and cannot, own? Lawyers have found it difficult to agree on a definition of Ownership, though it is plainly a concept central to the law in any law-making society, since it is a matter of the legal rights one person or group of people may have against another. Indeed one may speculate that the first laws may have been to establish ownership in contrast with mere possession, what you actually hold in your hand, or the space you currently occupy. Although in my new book I take a look at what philosophers have said about the origins of ownership, my main concern has been to explore the existential character of what we would all agree can be owned, what ownership feels like in such cases. (I take gardens as my central example; but I could equally well have considered the ownership of houses, or farms, or horses). David Hume, my hero among philosophers, distinguishes human reason, our ability to deduce one thing from another, from the human passions, that is our emotions and our motives for action, and assigns prior importance to the latter. Among the passions, he distinguishes the direct from the indirect. Direct passions are exemplified by love and fear: the object of the emotion brings it into existence in us immediately on our confronting it, and may drive us to immediate action, such as flight. With the indirect passions, however, the object of the feeling might be quite indifferent to us were it not in some way connected with ourselves. And here his central examples are the emotions of pride and shame. The connection that we have with our property, namely ownership, is one of his prime examples. And I agree with Hume that we may be proud or ashamed of our property, simply on the grounds that it is ours. (think how one may be ashamed of owning a particularly bad painting, and seek to distance oneself from it, by explaining that it was a present from someone who would be offended not see it hanging on one’s wall). But I want to make a further point about pride or shame. And this I make by means of the particular example of the ownership of gardens. For, if you have any interest at all in your garden, you do not want to be ashamed of it; you positively want to be able to take pride in it. And because the garden is yours, it is for you to make sure that it is an object of pride and not of shame. You can make this difference. Because the garden is yours, you and you alone are responsible for its being, and remaining, a source of pride. Thus it is that I argue for responsibility as the crucial factor in ownership. Of course ownership is not alone in conferring responsibility on us. We may be responsible for a group of children whom we are taking on a school outing, though we do not own them. A minister may be assigned responsibility for seeing a Bill through Parliament, where the question of ownership does not arise (though it is noticeable how frequently ‘ownership’ is used metaphorically these days in situation where someone is given a particular responsibility). But where there is a clear case of ownership, responsibility follows with it. I am legally responsible for controlling, or failure to control, my dangerous dog. I am responsible for ensuring that the roots of my tree does not undermine the foundations of your house. So ownership, if taken seriously, may be in the public as well as the private interest. It is not only I but my neighbourhood in general that benefits from my well-behaved dog, my tidy, litter-free front garden, my generosity with my abundant plums. These are the virtues, the good consequences of ownership and the responsibilities it brings. (There are of course people who disagree with my favourable view of private ownership; and I try to do some justice to their arguments against private property in my book). And so, finally, I come to the main question that I raise but do not answer in my book: we inhabit a world most of which we do not and cannot own, and yet for which we need to take responsibility if the world is not to perish, and we human beings with it. How, if at all, can human beings be led to take the responsibility that belongs with ownership for that which they do not own? There are two aspects to this question that I do not sharply distinguish, perhaps not as clearly as I should. They may be termed the domestic and the global. Domestically, we, and our Government, must take responsibility of what we roughly think of as The Countryside, that part of the country which we enjoy and deeply wish to continue to enjoy, not just the land itself but the flora and fauna that belong in it. Globally, we are more and more keenly aware of the threats to the planet as a whole, and how many of these threats are of our own making. 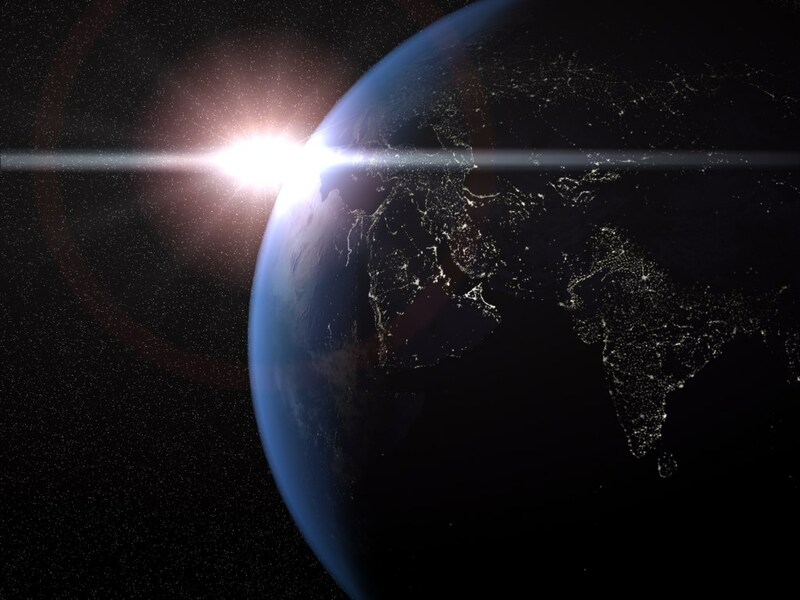 It could be argued that since human beings are responsible for the destruction of the planet, then manifestly they should take responsibility for its salvation. But this reflection, even if justifiable, does not as a matter of fact supply people with a motive, either to take expensive action, or to sacrifice some of the features of life that they have come to take for granted. We must ask why we should want to save the planet. The answer must be in terms of what we value. It seems to me that here we come upon Hume’s direct passions. We want to save the planet because we love the universe in which we live; and because we deeply fear what we seem ineluctably doing to destroy what we love. Nothing will do instead of what we now have and what we are in danger of losing. Mary Warnock is a philosopher. She has recently retired from the House of Lords.